Illustrations: 264 Color Illustrations. 13 B&W Illustrations. 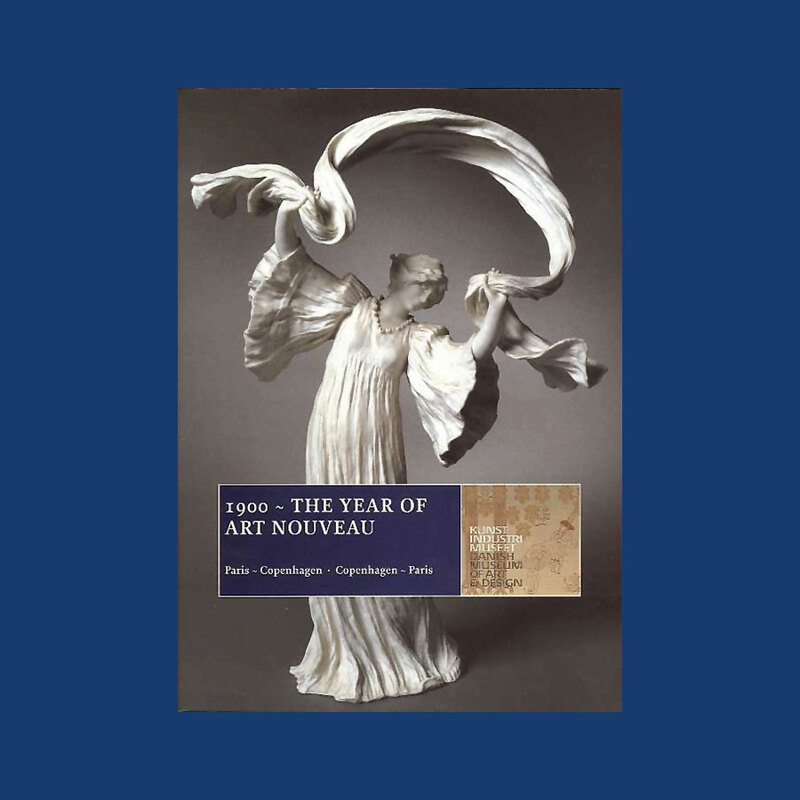 This catalogue tells the story of the extensive purchases made at the World Exhibition in Paris in1900, and it presents the individual pieces, many of which have been displayed in exhibitions around the world in recent years in association with the reawakening of interest in art nouveau.This book is very comprehensive showing the museum’s collections in ceramics/porcelain, furniture, textiles, silver and other metals and much more. List of non-Danish artists and manufacturers. A survey, a resource guide, a source of inspiration and a celebration of the creativity and reach of Swedish craft, this book shows the work of 247 of the leading craft artists in Sweden today. Many of these artists are deeply influenced by the natural world, using organic shapes and floral and animal motifs to transform everyday objects of the home and workplace into evocative art. Featuring artists from Skåne in the south to the Arctic Circle in the north, this profusely illustrated and impeccably designed book looks at glass, ceramics, textile, wood, concrete, metal, plastic, and stone work in over 600 photos. Maps and the craft artists own words place their dazzling work in the context of Sweden and our modern world. AKTUELL SVENSK FORM (Contemporary Swedish Design). Here are a number of Swedish designers and craftsmen in different media: ceramic artists Kennet Williamsson, Karin Bjorquist and Signe Persson-Melin; glass artists Asa Brandt, Gunnar Cyren and Bertil Vallien; silversmiths Birger Haglund; textile artist Elisabet Hasselberg-Olsson; furniture designers Åke Axelsson, Börge Lindau and Bo Lindekrantz; and industrial designers Tom Ahlstrom and Hans Ehrich. 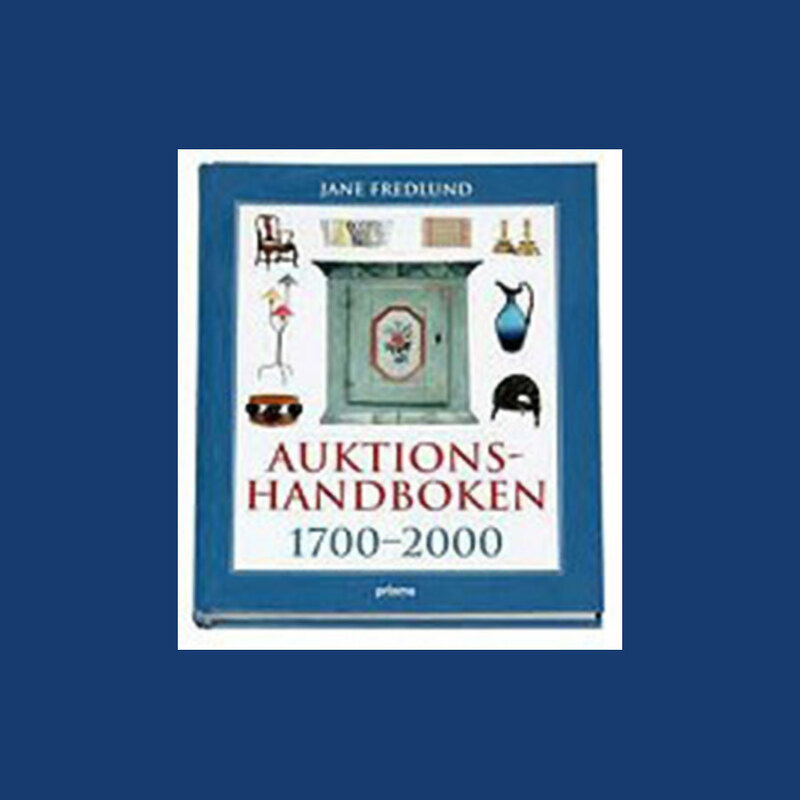 AUKTIONSHANDBOKEN 1700-2000 (The Auction Handbook 1700-2000). Illustrations: 306 Color Illustrations. 92 B&W Illustrations. An important handbook for any participant at Swedish auctions. Here you will find classic furniture from the 1700s and onward with history, pictures and often auction prices. Chapters deal with clocks, mirrors, kitchenware, chairs, cupboards and decorative textiles. An impressive, comprehensive book for those who would like to improve their auctionhouse skills or simply learn more about household objects and antiques. Includes a comprehensive guide to styles in furniture and other applied art, porcelain marks etc. BERING, ERIK: MY HOUSE OF FLOWERS. Illustrations: 121 Color Illustrations. 3 B&W Illustrations. As one of the world’s leading florists, Erik Bering has participated in numerous exhibitions in Denmark and abroad. When he opened his shop in Copenhagen in 1972, he launched a new style among florists and a revival of flowers, bouquets and decorations. In this book Erik Bering willingly shares his experience, knowledge and adventures. The royal family uses Erik Bering’s art of flowers exclusively.